Item number Sa266 from the MOA: University of British Columbia. Loom rope consisting of an agave fibre ? 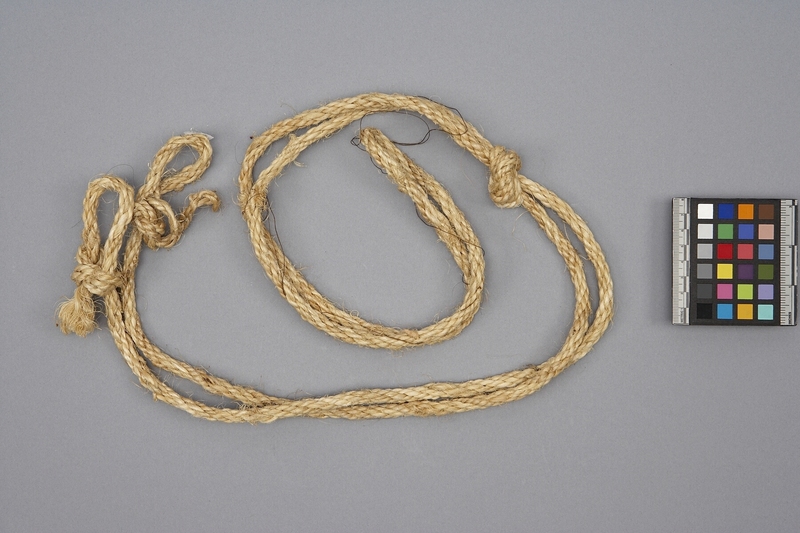 strand made of two twisted strands with small knotted loops at the ends. Rope is tied in the middle to form a large loop at one side. 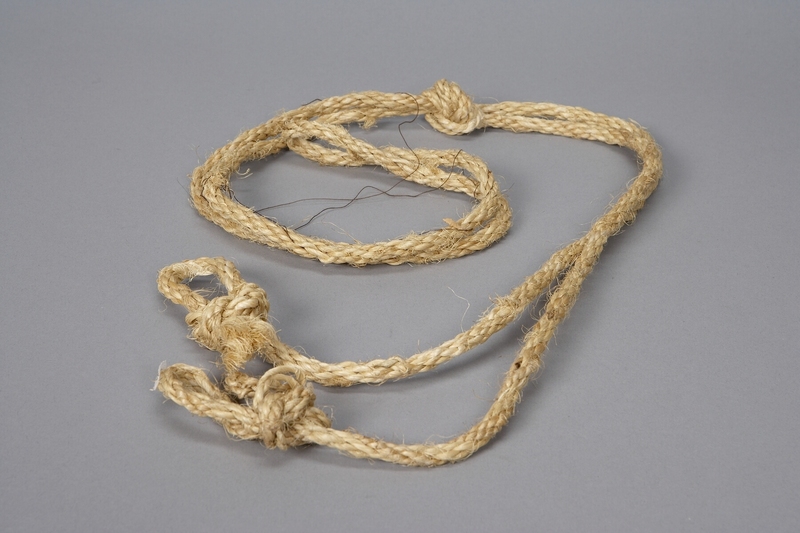 Brown thread is randomly woven into rope and hangs from the large loop.